In a statement, Kim said: “It has been a great honour to serve as President of this remarkable institution, full of passionate individuals dedicated to the mission of ending extreme poverty in our lifetime”. Kim has avoided public clashes with President Trump, but his policy approach was sometimes at odds with the president’s approach to climate change. 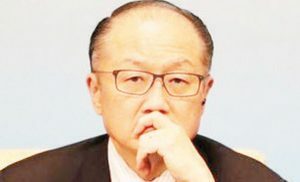 Under Kim, the World Bank has ended its support of coal power projects – in contrast to Trump’s promise to revive the US coal industry. In April, Kim bowed to pressure from the Trump administration over loan payments to China. The World Bank agreed to change its lending structure in order to secure a $13bn capital increase. Kim, who was born in Seoul, South Korea, trained as a medical doctor.